High-footed, mushroom shaped, red stoneware bottle. 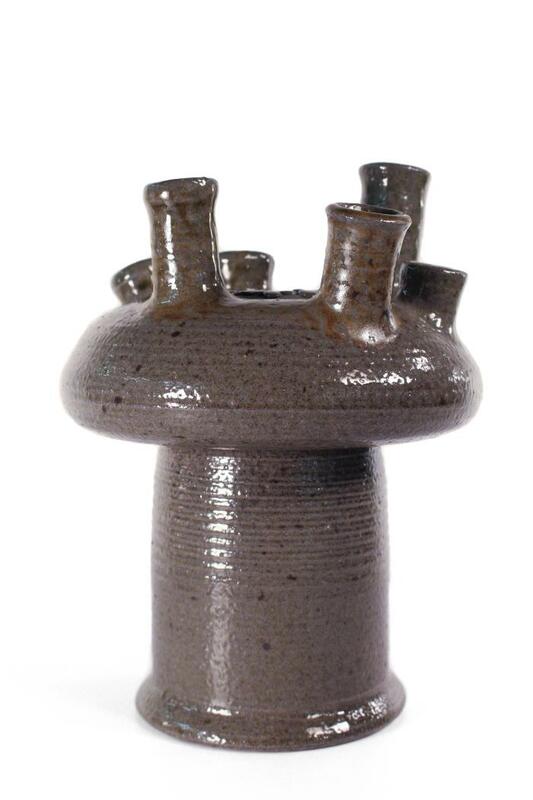 Six spouts of varying heights protrude from the top of the mushroom cap. Small clay circular shapes have been applied between the spouts. The throwing marks are apparent along the body. A salt glaze is used overall.